Not only do we want you to #eatbettermeat, we want you to eat more meat. Earn and redeem points for making purchases and referring friends! "My Meat Rewards" launched on June 2, 2017 so points will only accumulate for purchases and referrals that have occurred since June 2, 2017. 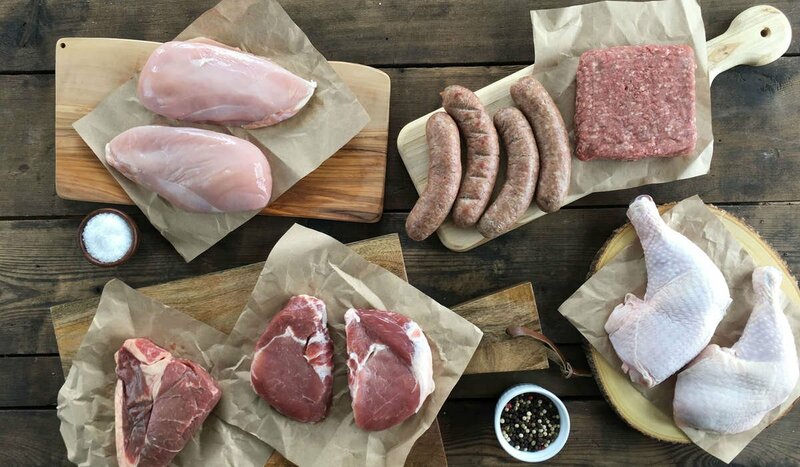 Click on the "My Meat Rewards" pop-up in the lower righthand corner of the website to see your points balance, unique referral link, transaction history, and redemption codes.